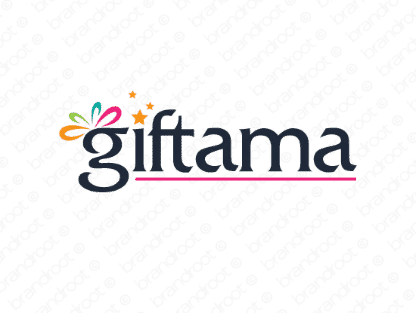 Brand giftama is for sale on Brandroot.com! This classy invention borrows from the word "gift", suggesting a generous and friendly character. Giftama has a snappy and memorable sound with unique appeal for the retail industry, ideal for shopping platforms and services or promotional campaigns. You will have full ownership and rights to Giftama.com. One of our professional Brandroot representatives will contact you and walk you through the entire transfer process.